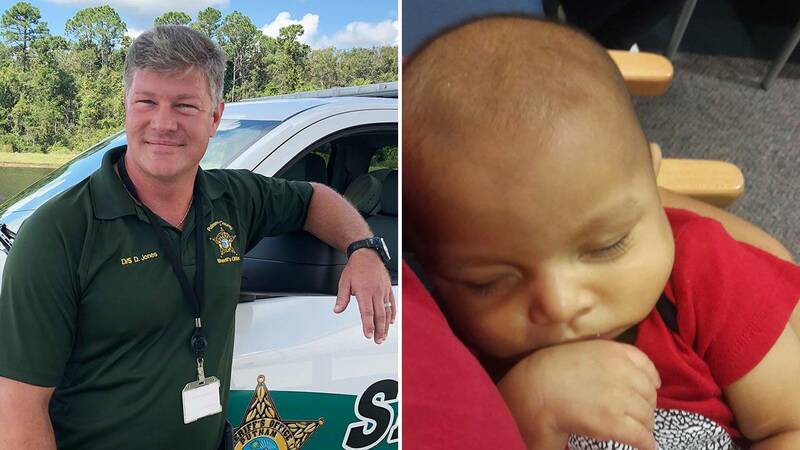 CRESCENT CITY, Fla. - A Putnam County sheriff's deputy responded to a cry for help Sunday, saving a baby's life. According to the Putnam County Sheriff's Office, Master Deputy Denis Jones and his family were skateboarding and rollerblading near Save-A-Lot in Crescent City when Jones heard someone yell out, "He's not breathing," at a nearby laundromat. Jones quickly skated over to a woman and offered to help. "She handed me her baby," Jones said. "His lips were starting to turn blue." Jones then began CPR on the 11-month-old boy named Christopher. When rescue arrived, the baby was breathing. He was taken to a hospital, but his mother said he's recovering and will be OK. It wasn't Jones' first act of heroism, the Sheriff's Office said. 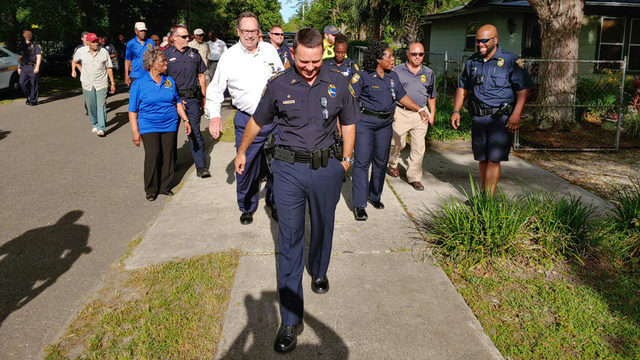 Jones, who started as a deputy in 2010 and currently oversees community services and the marine unit, was previously awarded for saving two people who overdosed on fentanyl. As a youth resource deputy, Jones also saved a student choking in a cafeteria.